Locate, purchase and prepare the new awning fabric as necessary. None of these are particularly difficult, but there are some tips in each section that will be of value. 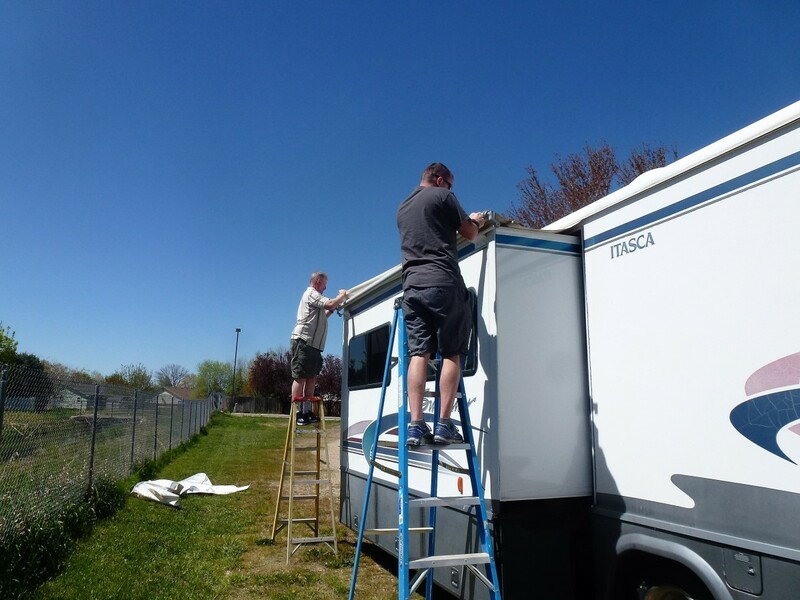 Do have a helper available, and two ladders to work from, as the installation of the new awning will be very difficult for one person to accomplish without tearing the material. 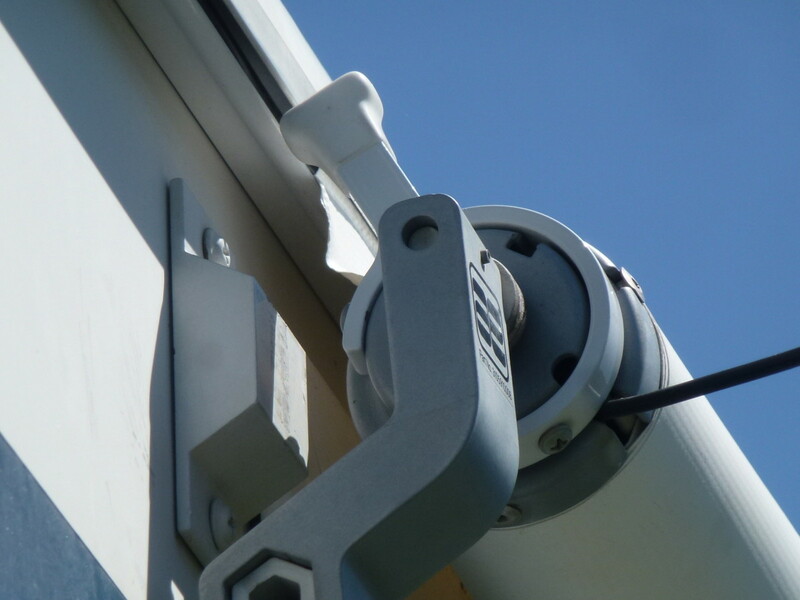 Each person needs to be able to easily reach the awning roller assembly. You can expect to take a couple of hours to complete the entire task. What Fabric Do I Need? 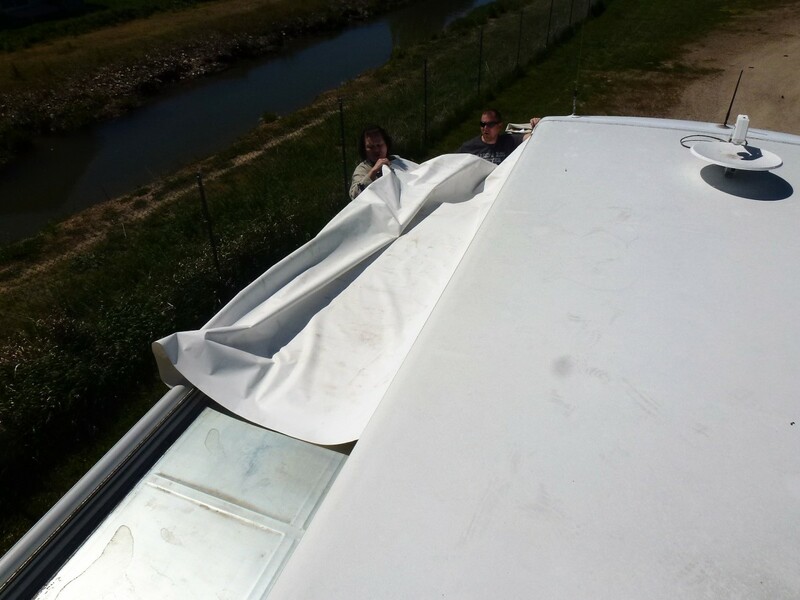 There are several options in awning fabric, all designed for an RV slide out, that can be purchased. 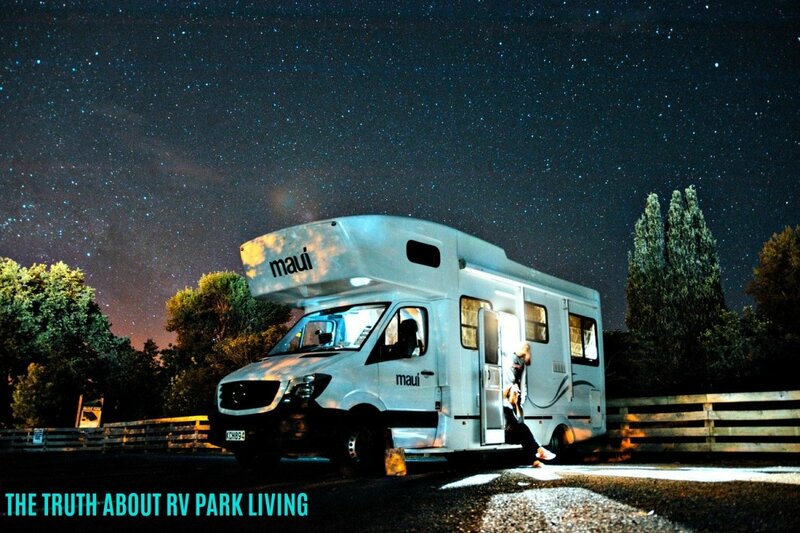 They range from simple vinyl (most likely very similar to the original equipment you have) to more exotic, and longer lasting, materials and are commonly available both on the internet and in RV shops such as Camping World. In general, you will be asked to measure your existing awning before purchasing - follow the instructions at the web site or store to make these measurements as different sites require measurements of different parts of the awning. 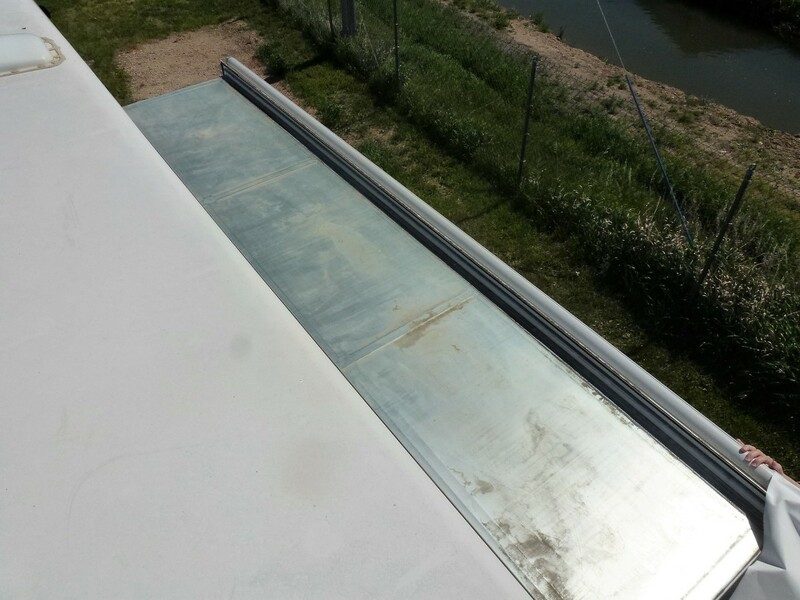 It might be the length of the awning fabric that is required, for instance, or the distance between the ends of the roller. 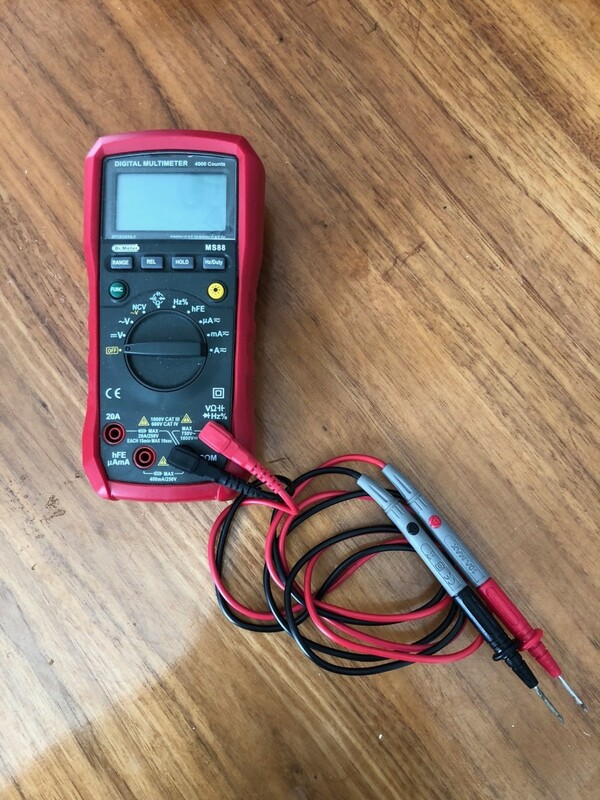 Pay attention and get the measurement right. There is another option, though, and one that was used in the project undertaken for this article. 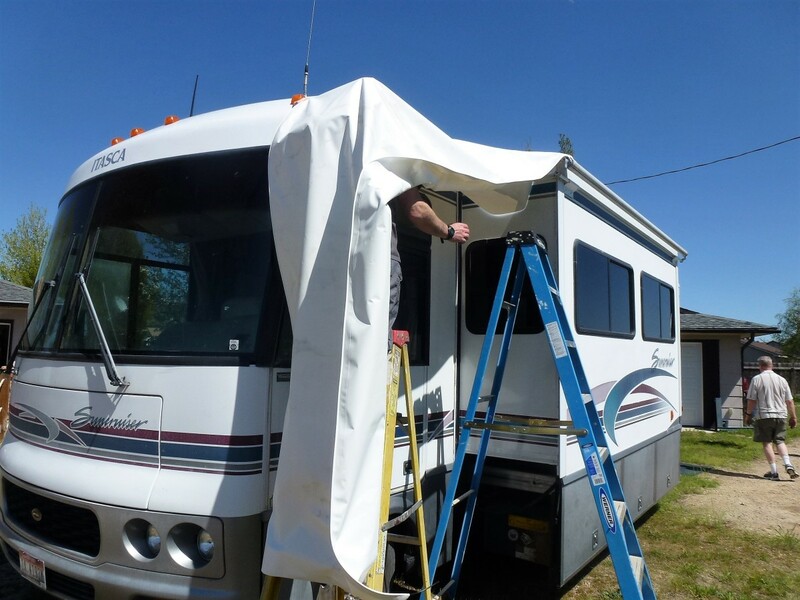 Amazon sells RV awning fabric that is 47" by 200" inches long; long enough for the large majority of slide-out awnings and considerably cheaper than custom lengths. It has the ribbing already sewn into both sides and is designed to be easily cut with a knife or scissors to the length needed. This is recommended for most projects. It is very similar to the original fabric and can be expected to last many years, probably longer than you will own the RV. If the Carefree brand product from Amazon is chosen, it will need cut to the proper length. 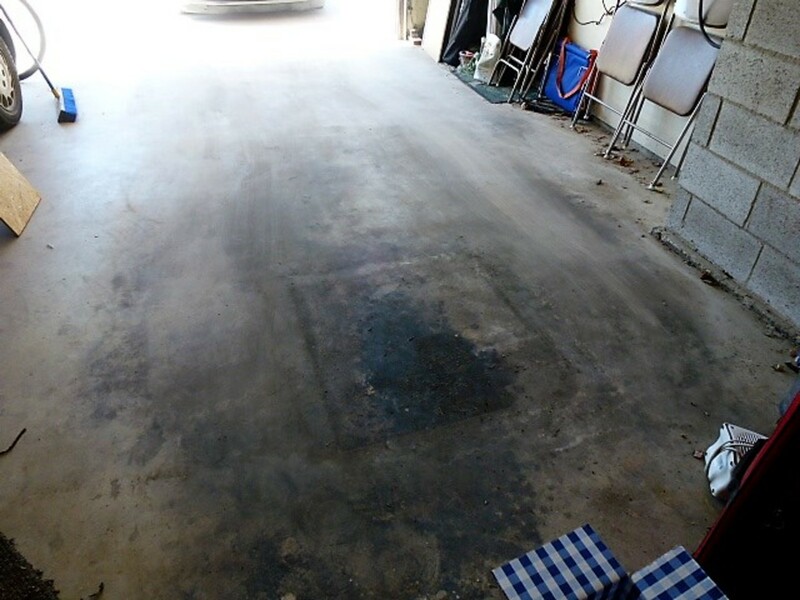 Carefully lay it onto a clean floor or lawn and unroll it to the full length. 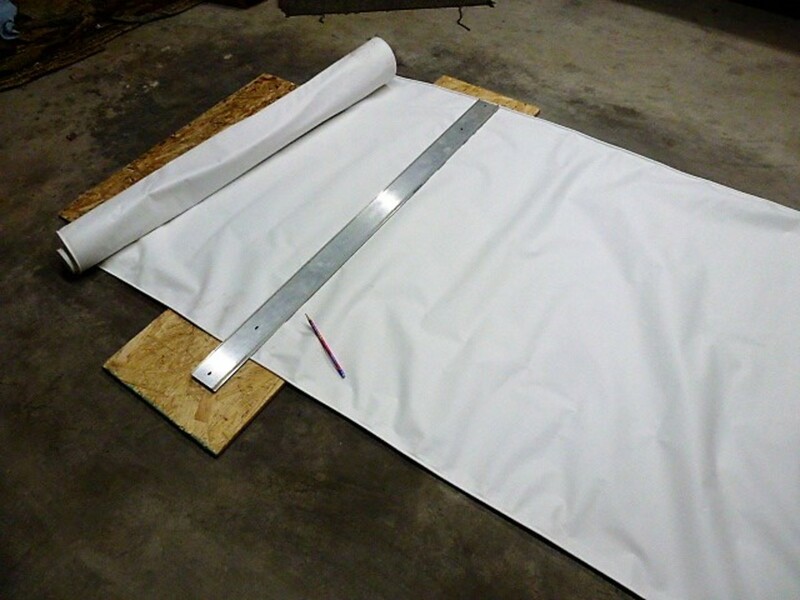 Measure the width of the current fabric (not the roller length, but fabric length) and transfer that measurement to the new awning material. Take measurements down both sides, making sure the awning is stretched reasonably tight and not folded or creased, and mark the length with a pencil or non-permanent marker. Using a straight edge draw a line between the two marks. Measure twice, making absolutely sure you have the right length as you have but one chance here. Cut the new awning using either a knife (a box cutter worked very well) or some heavy duty scissors. 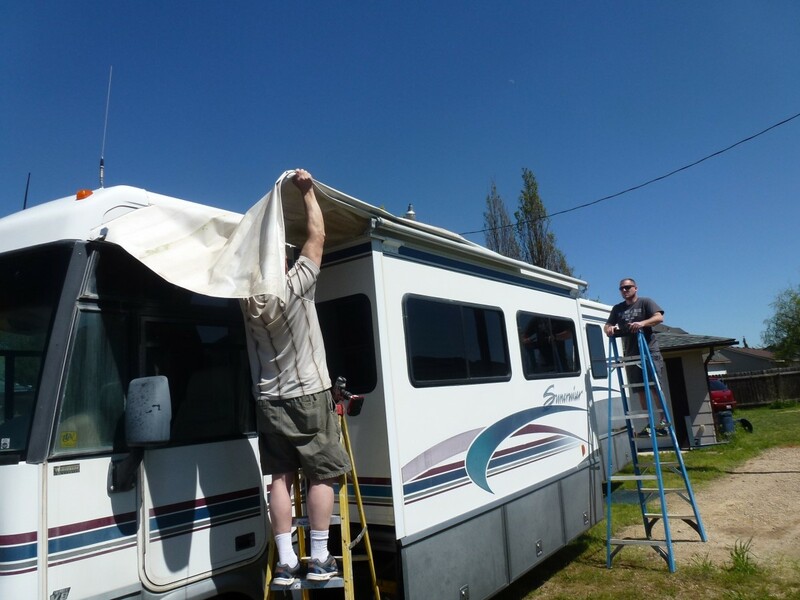 Roll the awning back up and set it aside until ready to install it. The next step is to remove the old awning. Begin by opening the slide as far as it will go, making sure there is enough room between the slide out and any fencing or walls to work from a ladder. 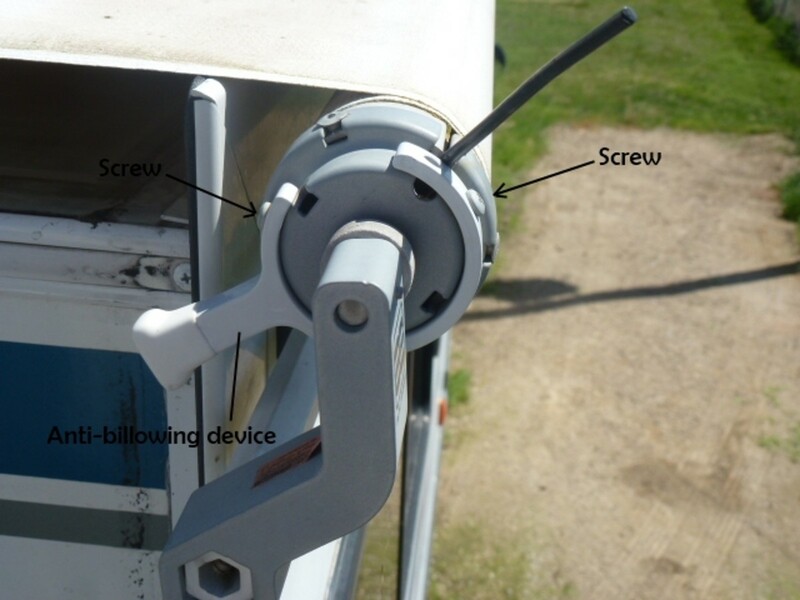 Remove the "anti-billowing device," the short lever on one end of the awning mechanism. Remove the two screws holding it in place and work it off the roller, setting the device and the screws aside for later re-installation. The end cap at each end of the roller assembly has several holes; one pair of holes at each end has a tiny hole in the roller between them. Turn the roller by hand, unrolling the remaining fabric, until the fabric is unrolled and you can see completely through the roller. Insert a steel rod through both sides of the roller cap and the small hole; a 3/32" Allen wrench works well, but you could use a drill bit or even a nail of the right size. This locks the rod in place so that it will not roll right back up when released. 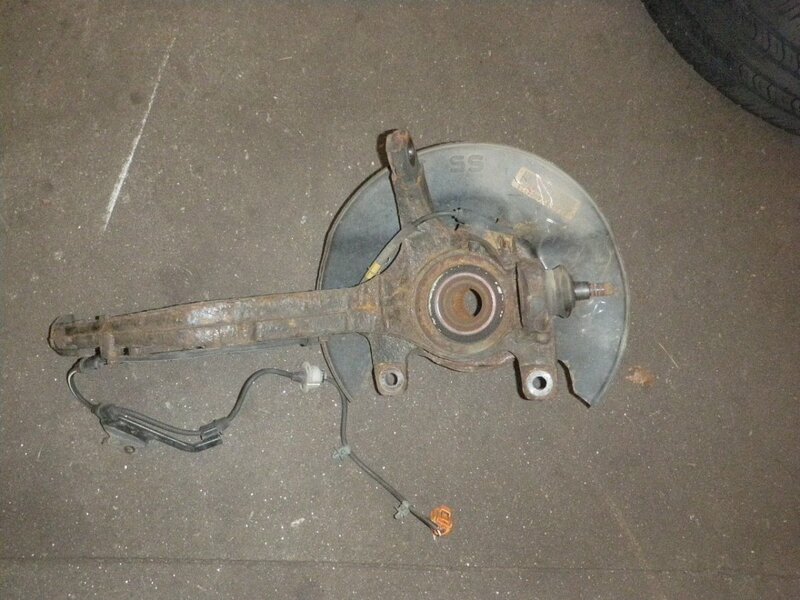 See the photos below to identify the hole to be used. A word on the anti-billowing device. The awning shown at the beginning of the article was fairly old and torn enough that it would not last another season, but it should have lasted at least a few more years. The culprit was a broken anti-billowing device; the lever was broken short and would no longer reach the stop fastened to the RV. This allowed a very high wind to unroll the awning some, then let it snap back. This was repeated multiple times and was what cause the awning to tear. If your device is broken in any way replace it! Anti-billowing devices for Dometic awnings are sold at Amazon as well as the fabric and are not expensive. 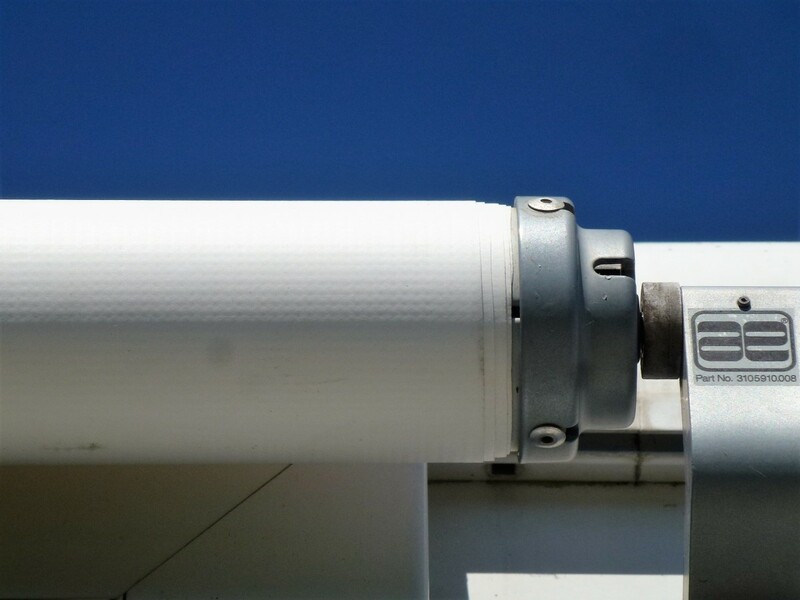 A new one could save your awning or even the assembly itself. You are almost ready to remove the old awning. 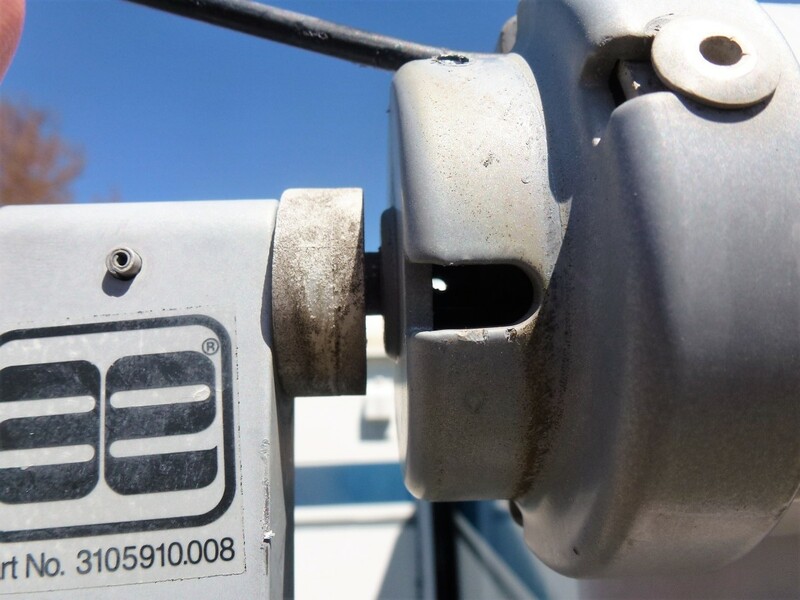 There is almost certainly a screw or other device that prevents the awning from sliding out. 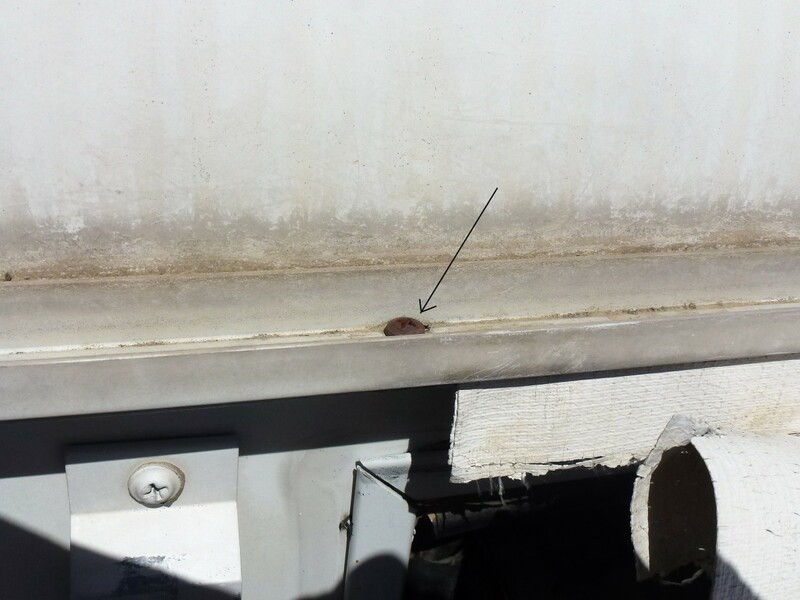 That screw is probably located near the awning fabric and in the groove, or track, that the fabric is mounted in, and must be located and removed before the old fabric can be slid out. 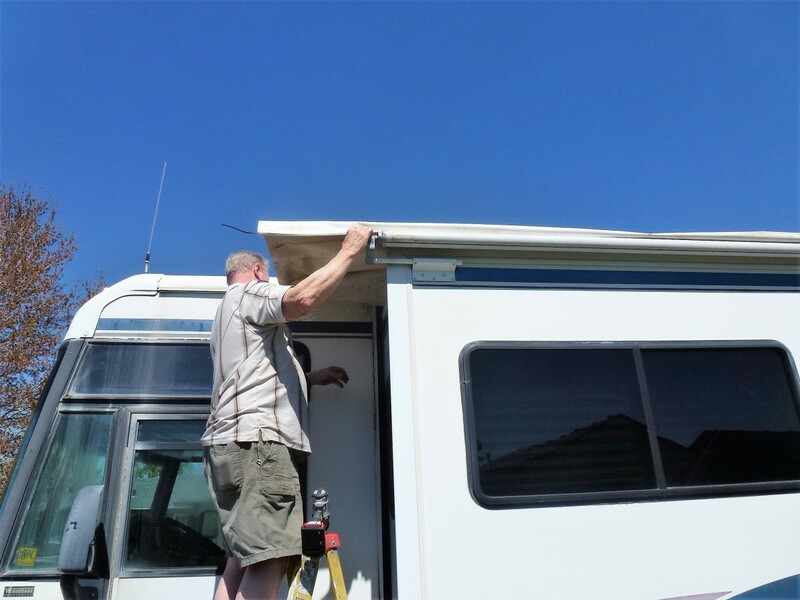 With any obstructions removed, grasp the old awning at the RV and the roller and begin sliding it down the groove and off the RV. Continue until it is completely removed. With the old fabric removed, it's finally time to install the new material. Begin by taking a look at the very end of the slot it will be installed into. Most of these have very sharp corners that can easily rip and tear the fabric as it is slid into place. The slot on the roller normally has smooth edges and does not need anything done to it. Using a pair of pliers (needle nose pliers work well) or a large screwdriver, bend the corners out just a bit. Not much, just enough so that the fabric won't catch so badly on the corner of the track. 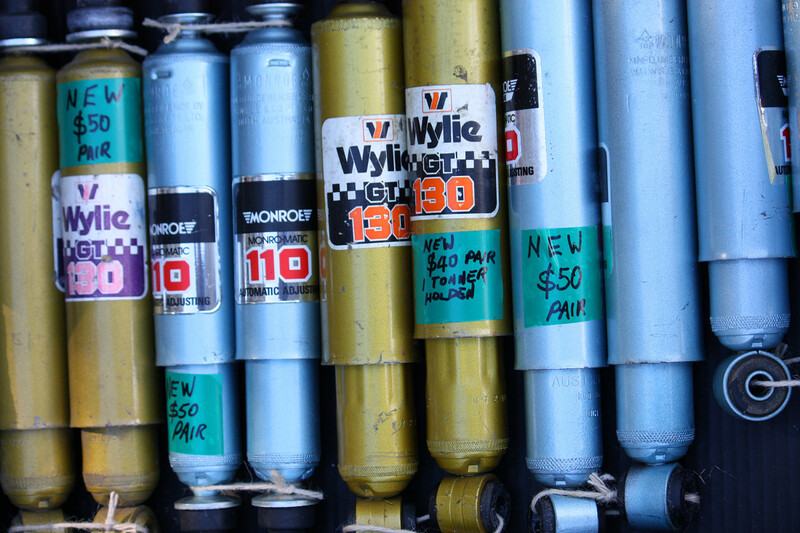 To provide a bit more protection, tape the entry into the track with some duct tape or other heavy tape. The photos below show this. 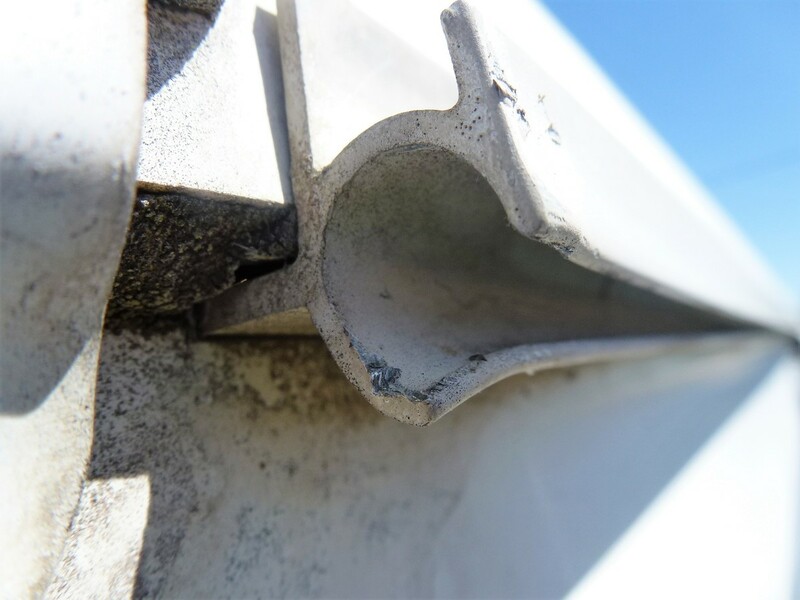 Some silicone spray in the track may help the awning slide, but usually isn't necessary. One side of the new fabric has larger ribbing at the edge; this is the RV side, with the roller side being the smaller ribbing. Gently start the fabric into the track. On the RV shown, one track was much longer than the other, starting at the front of the RV as a rain gutter, while the slide-out was several feet down the side. If this is the case it would be a good idea to set up both ladders so that one person can start the one track; then the second person can take over pushing it into the second track. 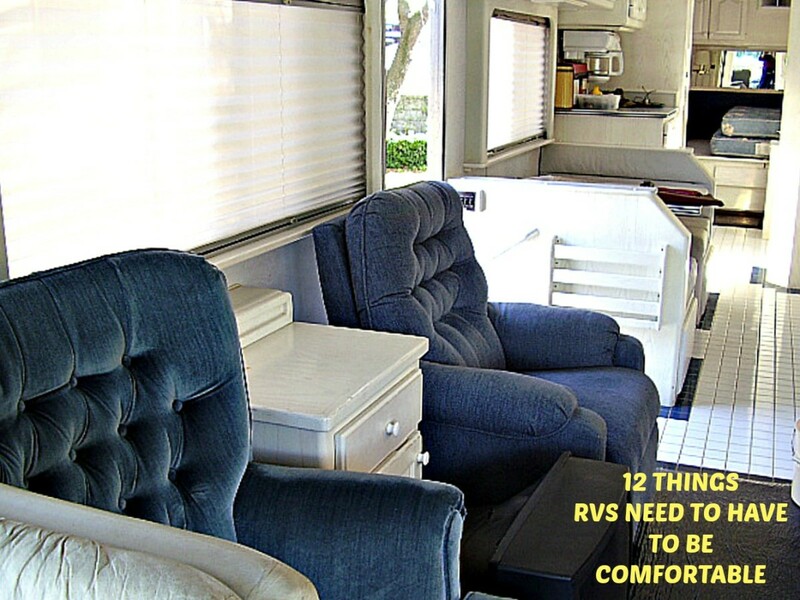 Take care to never let the fabric dangle from the sharp corners of the RV track! 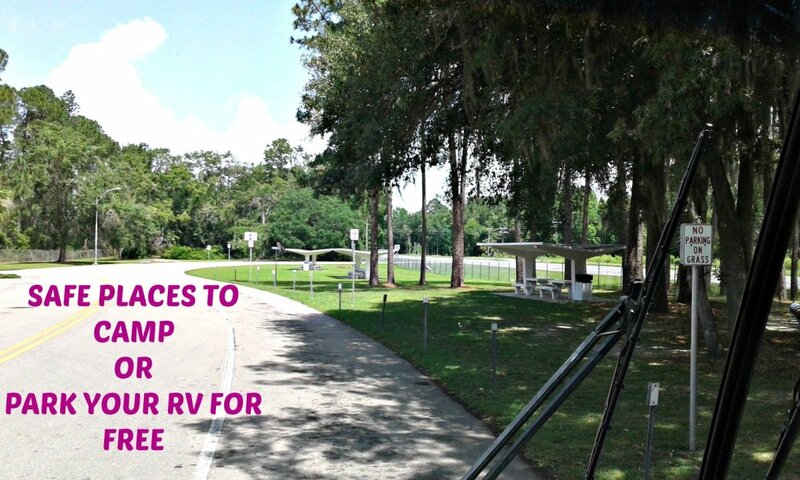 Keep one person at the track on the RV where the sharp corners are to keep gently feeding the material into the track. As soon as it is into both tracks a short distance it will likely be easier if the second person moves onto the roof of the RV. Particularly if it is a deep slide out it will be difficult to reach far enough to keep pulling the fabric into the track. With one person pulling the material while the other makes sure it doesn't catch on the corners of the track, pull the entire awning into both tracks at the same time. Center the new material on the roller assembly. Do the best you can to line up both ends so that when the awning is rolled up, it will roll evenly. It will probably roll unevenly no matter how hard you try, but do what you can. Remove the Allen wrenches, making sure to keep a firm grip on the roller, and allow it to slowly roll up the excess fabric until it is tight. 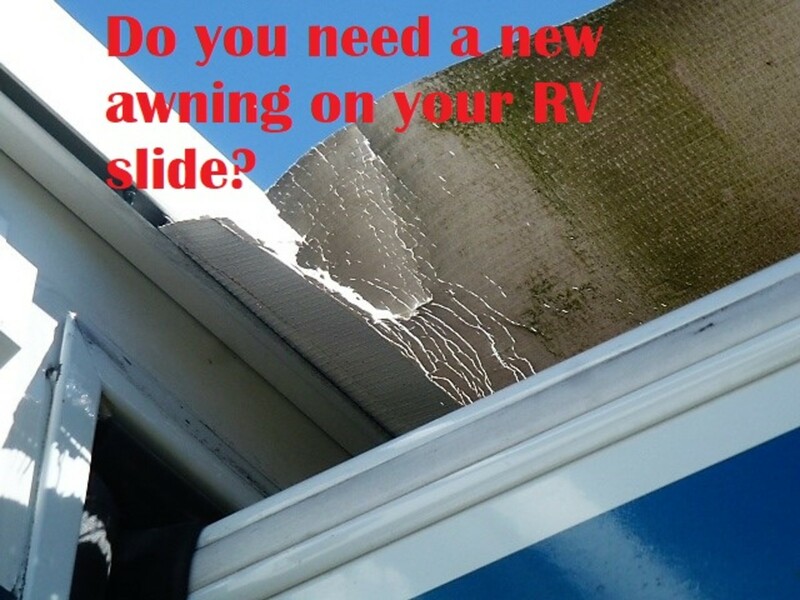 Check again for uneven rolling and if it is rolling straight, retract the slide into the RV. 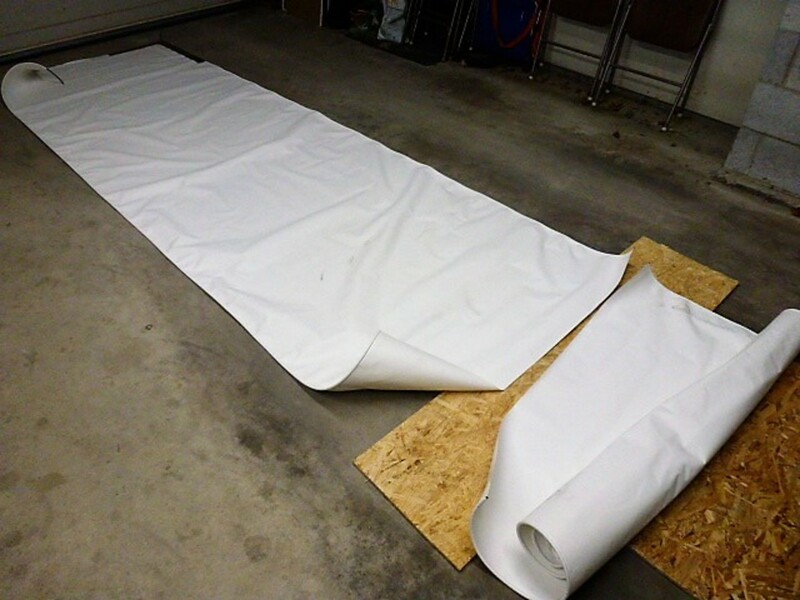 The photos below show that our fabric did not roll evenly, and slowly moved to one side as it was rolled up. 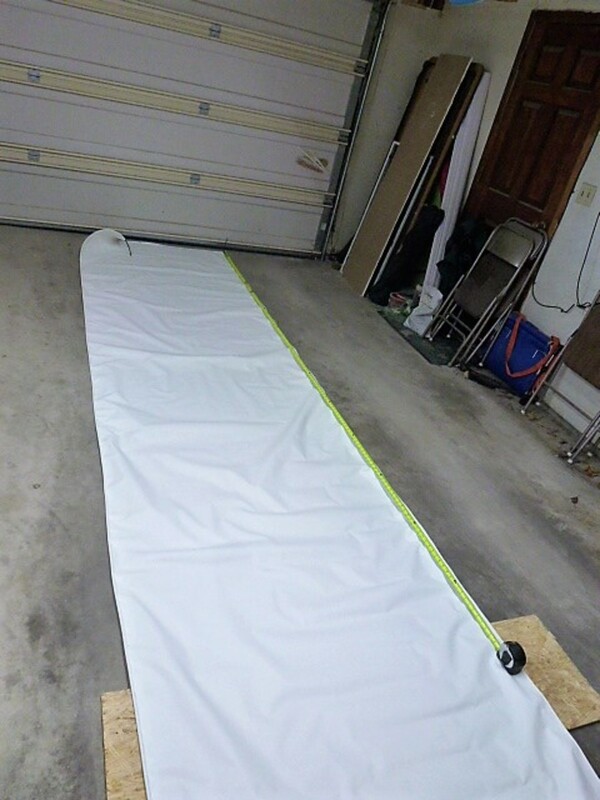 If this happens (and it likely will), run the slide back out, relieve the tension on the fabric by turning the roller, and move the fabric in the RV track slightly. Retract the slide out again, checking once more that it is now tracking correctly as it rolls the fabric up. Repeat as necessary until the new awning rolls evenly on the roll assembly. Leave the slide extended for the moment. If a screw was removed from the track, put it back where it was. 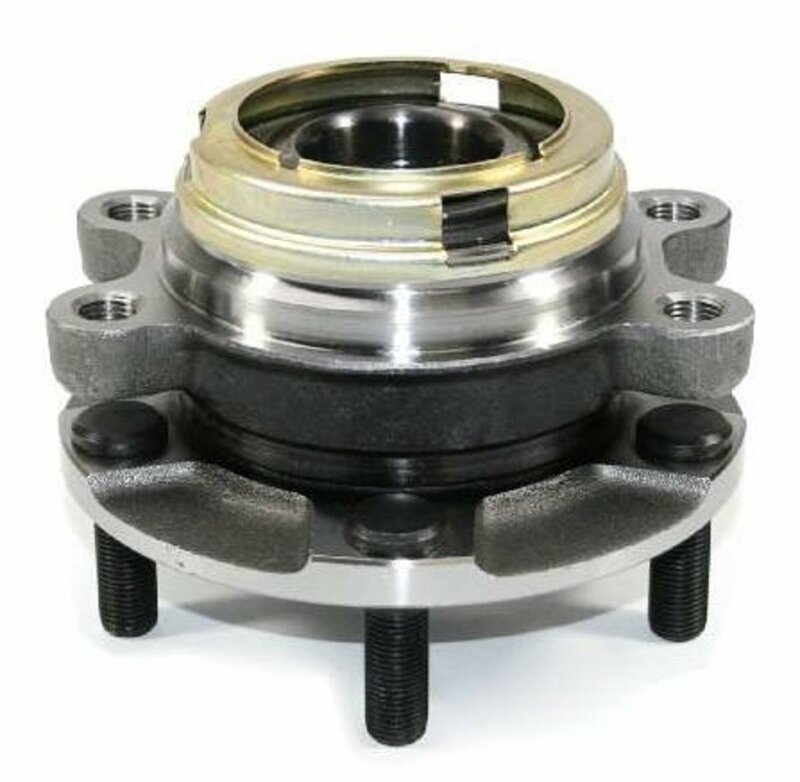 The anti-billowing device needs installed as well, but it may well not go in the same place. If the new material is a different thickness, or is a little wider than the old fabric was, the roller will be positioned differently than it was with the old material. 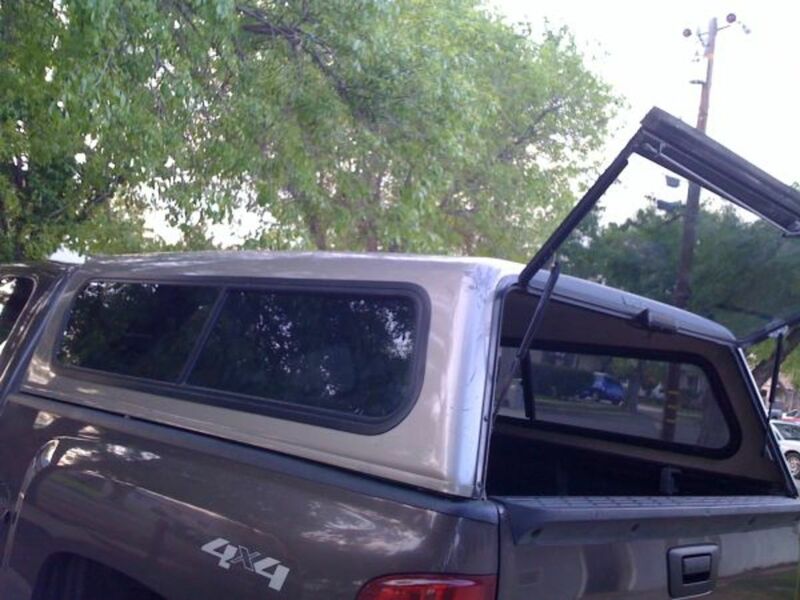 If the device is on the drivers side the arm should be positioned at about 11:00 when the slide is retracted, while if it goes on the passenger side the correct position is about 1:00. 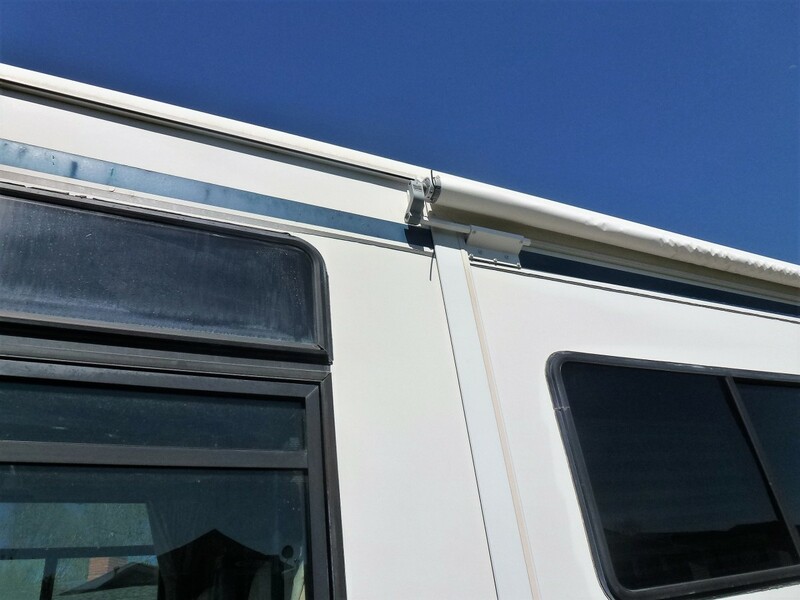 In both cases it is set so that if the awning is unrolled with the slide retracted, the device will contact the stop on the side of the RV fairly quickly and prevent any further unrolling. The RV in the previous photo has the slide on the drivers side and the device positioned at about 11:00. If it must be installed in a different position than it was originally new holes must either be drilled for the screws holding it or self-tapping screws used. The self-tapping screws are recommended as much easier, and are likely what was used at the factory. Either way a drill will be necessary if the position of the screws has changed. As the final step, carefully retract and then extend the slide out, making sure that the anti-billowing device does not contact the stop during the process. 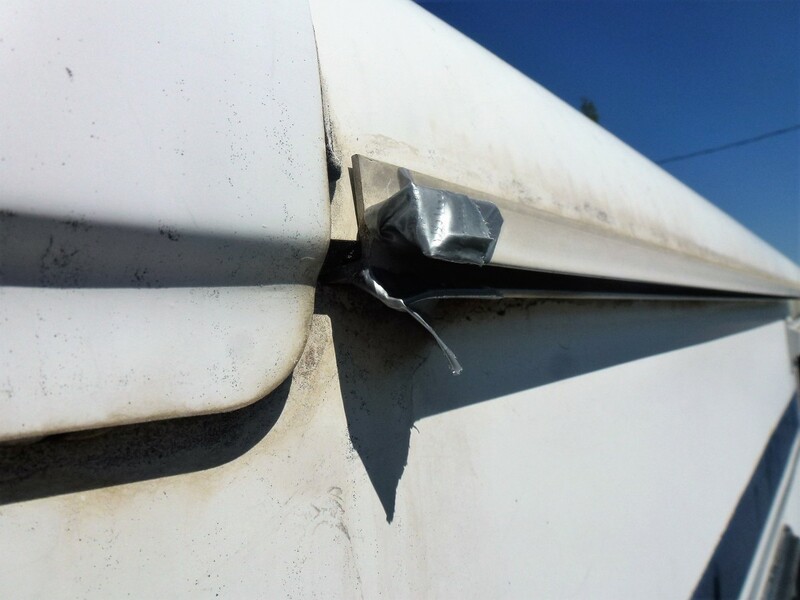 Remove any protective tape you put on the awning track.